What are the benefits of custom printed PVC packing tape? Aside from it being the quiet tape, what are the benefits of using custom printed PVC packing tape? For one thing, it’s a versatile product. PVC is a thicker, stronger tape when compared to polypropylene. If you pull out a long strip, it’s easier to manage. The tape is less likely to stick to itself. If does, it will easily unstick. We’ll note that PVC packing tape requires more pressure to stick, as its adhesive isn’t as quick-grabbing. But once its adhesive grabs, it will do so more aggressively. It also adheres to a wider variety of surfaces. What if I need custom printed tape? 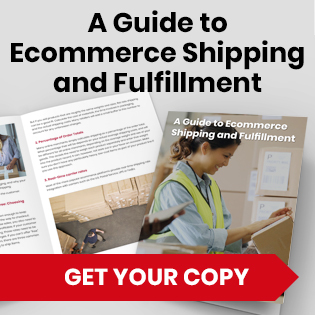 It may be that you need your PVC tape to do more than just seal your packaging. 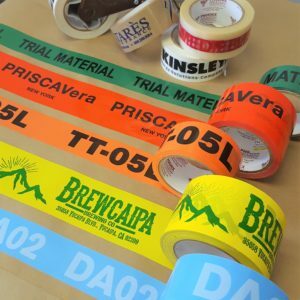 You might be looking for printed tape that can carry your company’s name, logo and/or messaging. If that’s the case, you’ll need to consider two factors: the weight of the package and the level of detail involved in your printing. When shipping heavier products, you’ll, of course, want to choose a heavier, thicker tape. The thickness of a roll of tape is measured in mills, with one mil equaling a thousandth of an inch. A custom PVC tape that is 2.2 mils thick will allow you to seal boxes that are up to 40 pounds, while a custom-printed PVC packing tape that’s 3.2 mills can handle heavier products. It is always wise to request a sample roll if you are unsure which thickness is best for your packaging. We should note that box size isn’t as important as package weight. You might need to ship something that only weighs a few pounds but still requires a larger box. In the end, weight will be a key factor in determining the type of tape you need. The other important factor is the print itself. 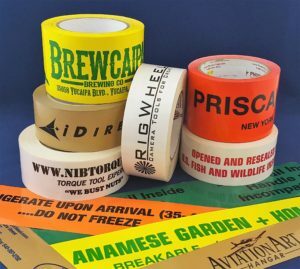 What message will your printed tape include? Do you just want to advertise your company name, or do you want to include a detailed logo or a lot of fine print? Many companies are now including their web address on their tape. The tape you choose will depend on that answer. If you don’t need a lot of detail, both custom PVC packing tape and polypropylene tape will suffice. But for print jobs with longer runs and more details, we give the edge to polypropylene. It provides better image integrity and uses a hard plastic plate that improves the print clarity. And no matter what type of tape you decide to use, Phoenix Tape can help. 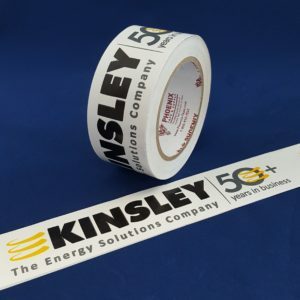 For more than three decades, we’ve supplied businesses like yours with top-quality custom custom-printed PVC tape, polypropylene tape and other packing materials designed to keep your products secure while sharing your company’s messaging with the world. Contact us today to talk to our design and sales departments. We look forward to finding a tape that works for you. 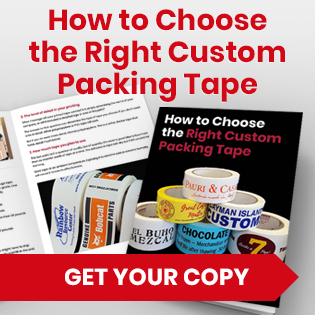 Previous Previous post: Custom Paper Tape or Plastic Tape: Which is Better for Your Packing Needs?